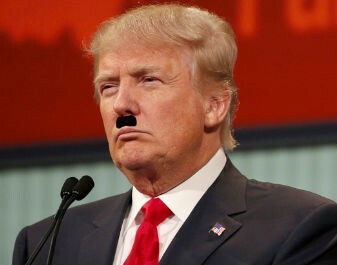 “I Have a Nuclear Button, … And My Button Works” Trump Is Far More Dangerous than Hitler? Planned US nuclear attacks in the 1960s were forecast to kill about 600 million people. “No nation, no group of civilized people could take on such a responsibility. The first bomb would be followed by a second, and then humanity would be forced down the road to extinction. Only tribes in the Amazon and the primeval forests of Sumatra would have a chance of survival”. “The final decision now lay in the main with president [Harry] Truman, who had the weapon; but I never doubted what it would be, nor have I ever doubted since that he was right… There was unanimous, automatic, unquestioned agreement around our table”. The decision by America to relentlessly pursue, and use, nuclear weapons started an inevitable proliferation domino effect – of no great concern to Western leaders – with nine countries now possessing nuclear arsenals. This includes nations hostile to each other such as the United States and Russia, while on the other side of the world, old enemies India and Pakistan have nuclear stockpiles, not to mention Israel. Humanity has indeed almost been “forced down the road to extinction” because of these policies – particularly if the atomic scientists running the Doomsday Clock are to be taken seriously. Regarding nuclear weapons in the post-World War II era, there have been a series of nightmarish provocations and false alarms, leaving humanity teetering on the edge. Such have been the risks deliberately imposed on populations by the great powers, who refuse to disarm their nuclear arsenals. 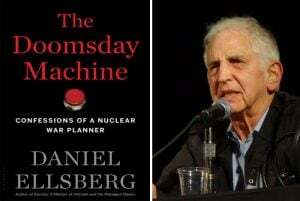 The unprecedented dangers of nuclear weapons have been “systematically concealed from the public” by government leaders and mainstream media, as Daniel Ellsberg writes in his recent book The Doomsday Machine. “first-strike nuclear attacks by either side very much smaller than were planned in the sixties and seventies… would still kill, by loss of sunlight and resulting starvation, nearly all the humans on earth, now over seven billion”. 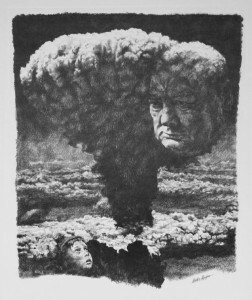 Ellsberg confirms this apocalyptic outcome is firmly supported by “the latest scientific peer-reviewed studies of climatic consequences of nuclear war” – while he insists “basic elements of American readiness for nuclear war remain today what they were almost 60 years ago: Thousands of nuclear weapons remain on hair-trigger alert, aimed mainly at Russian military targets… many in or near cities”. Today, if America was to begin a nuclear war, as Trump has openly threatened: The resulting nuclear winter effect would destroy all human life within his own country, the United States, along with practically the rest of the world’s population. 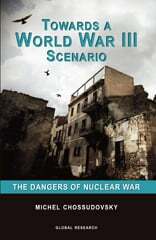 “What none of us knew at the time [in the 1960s]… not the president or his science advisors… were the phenomena of nuclear winter and nuclear famine, which meant that a large nuclear war of the kind we prepared for then, or later, would kill nearly every human on earth (along with most other large species)”. Also facing certain extinction would be iconic land animals such as elephants, lions, giraffes, etc., all of whom are heavily reliant in different ways on the life-giver of sunlight. “It is the smoke, after all (not the fallout, which would remain mostly limited to the northern hemisphere), that would do it worldwide: Smoke and soot lofted by fierce firestorms in hundreds of burning cities into the stratosphere, where it would not rain out and would remain for a decade or more – enveloping the globe and blocking most sunlight, lowering annual global temperatures to the level of the last Ice Age, and killing all harvests worldwide, causing near-universal starvation within a year or two”. Indeed, before a two-year lapse of time following a nuclear war, perhaps 99% of the now 7.6 billion humans on earth would die of starvation, or extreme cold. Hitler’s prediction of over 70 years before remains increasingly relevant, the only humans that could possibly survive are those such as the “tribes in the Amazon and the primeval forests of Sumatra”. It is certainly the “primitive” peoples, not entirely reliant upon sunlight or food crops, that would have the only chance of lasting out a nuclear Armageddon. Even then, there are few guarantees. It says much about the morality and psychological state of Western leaders whereby Hitler – a notorious dictator – repeatedly expressed his repulsion regarding nuclear bombs. This was clear from the first moment Hitler’s new armaments minister, Albert Speer, broached the subject of nuclear research with him in the summer of 1942. As the war advanced, no such concerns afflicted US presidents Franklin D. Roosevelt, Truman, nor British prime minister Churchill. They were all enthusiasts, despite it becoming clear by late 1943 the Nazis had shunned the atomic bomb. Even more worryingly, the final decision as to who fires the “US nuclear forces has never been exclusively that of the president, nor even his highest military officials”, Ellsberg outlines. The ultimate call in authorizing the use of nuclear weapons reaches down even “to subordinate commanders”. This was the case not only under president Dwight D. Eisenhower in the late 1950s, but later through the administrations of John F. Kennedy, Lyndon B. Johnson, Richard Nixon and Jimmy Carter. Ellsberg highlights that this is “almost certainly” the case with “every subsequent US president until this day”, noting that such a strategy is “one of our highest national secrets”. Rather than there being “a nuclear button” as Trump wrote, the great likelihood is there are quite a number of these buttons in the US. Nor are such policies of insanity restricted to US administrations. Ellsberg surmises it is “virtually certain” that “this same secret delegation exists in every nuclear state”. Further revealed is that, during the Kennedy period, there were planned US nuclear attacks on the USSR and China that would knowingly lead to “the extermination of over half a billion people”. That is, about 100 Nazi Holocausts combined. In fact, such nuclear assaults would have led to the virtual annihilation of the human race – due to the unforeseen nuclear winter effects, which only started becoming clear to scientists from 1983 on. Though today nuclear winter is widely known in specialist circles, it seems implausible the Trump administration is completely aware of this extinction phenomenon. Otherwise, the president would hardly be undertaking such reckless statements – the atomic scientists specifically noted Trump’s comments while outlining their decision to again advance the Doomsday Clock, in January this year. Even if Trump and associates were briefed of the dire nuclear winter theory, it is probable they would not take it seriously anyway. Scientific certainties are routinely ridiculed by high-ranking Republican Party members, who are scornful of unwanted facts in general. While running for president in 2016, Trump refused to take “off the table” the use of nuclear weapons in any conflict. Be it against ISIS, in Europe, or whomever it may concern. Elsewhere, it seems unlikely Trump’s counterparts in India, Pakistan, North Korea, and so on, are intimate of the critical facts regarding nuclear weapons. Combining all of this, one can comfortably arrive at the conclusion that Trump is a far more dangerous figure than Hitler before him. The Fascist dictator was responsible for mass genocide, primarily against Jewish and Slavic populations, killing well over 30 million people. In the West, often forgotten is that over 25 million Soviet citizens were also killed by Hitler’s forces. The total death toll, while horrendous, was a tiny fraction of the global human population at the time, of 2.3 billion people. Hitler was not undertaking actions that remotely threatened the human race as a whole. The Nazi leader was opposed to nuclear weapons on skewed racial grounds (“Jewish physics”) and because he foresaw that their arrival, from early on, was a severe threat to the planet. However outlandish it may seem, one could argue that a number of post-war leaders in America (and elsewhere) have indeed been more dangerous than Hitler. Rather than leading the way in disarming the unparalleled threat to the earth, nuclear weapons, US leaders have done anything but – often flaunting their arsenals through possible attack, intimidation, while leaving the way open to unforeseen accidents. Trump’s policies of the continuing provocation of Russia, China and North Korea, three nuclear states, is a game of cat and mouse with the highest possible stakes. For instance in the preceding months thousands of fresh troops from NATO, an expansionist US-led alliance, arrived in Europe, pushing up to Russia’s borders. Three months ago, Vladimir Putin felt compelled to publicly display his country’s nuclear capabilities, such are the threats he understandably discerns. Trump has further increased American support for Israel, an aggressive nuclear power situated in an especially unstable region, the Middle East. The US president recently pulled his country out of the Iran deal, possibly setting the Islamic republic on the road to developing nuclear bombs. Furthermore, Trump last year withdrew America from the Paris climate agreement – a serious blow to the planet – as his administration continues to ignore, indeed exacerbate, major threat number two: unrestricted climate change.